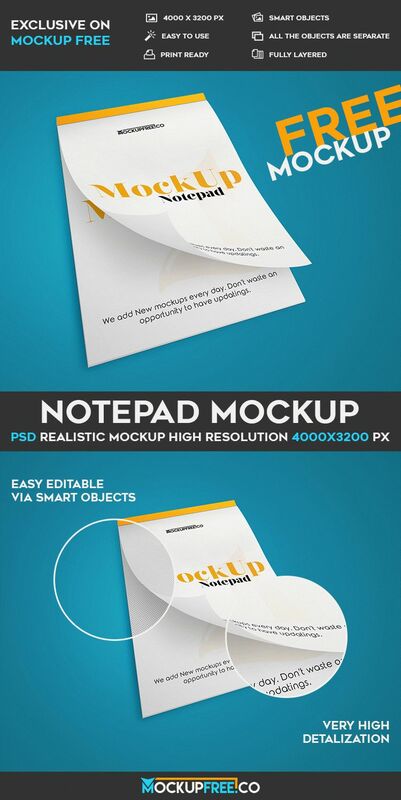 We are glad to present to your attention our new professional PSD Free Mockup that we have called – Notepad. It is easy to add there any necessary design and use it for creating advertisement, promotions and branding identity. It is very Professional PSD Mockup that can be really useful for showcasing many interesting ideas. If you want to find the necessary Free PSD notepad mockup to present your branding series with a wide range of useful opportunities, you can download this awesome freebie and use it for different companies, branding identity design, brands and shops.